Commons in a "Glocal" World: Global Connections and Local Responses. Much research on the commons deals with one of two topics – either the interaction between local participatory governance and the development of institutions for commons management, or the issue of global change that is related to the increasingly globalized expansion of capitalist modes of production, consumption, and societal reproduction. The conference aims to bridge the two, investigating how global players such as multinational companies and organizations affect the commons worldwide and how they relate to responses emerging from within the commons in a global-local ("glocal") world. Our focus is on inter- and transdisciplinary dialogue among representatives of academic disciplines (e.g. geography, social anthropology, history, development studies, economics, political science, and law) and non-academic actors (e.g. from business, policy and civil society). 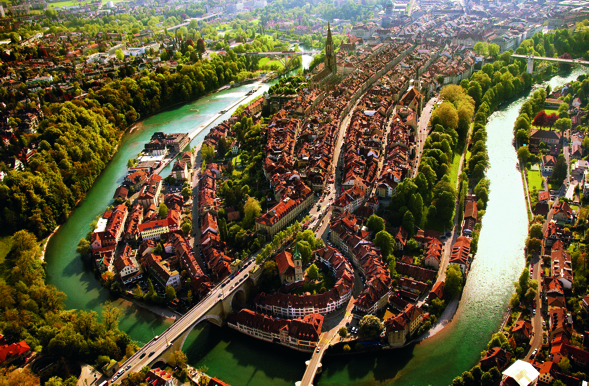 Bern is an ideal location for this topic. It is the capital of Switzerland, a country whose policies are developed within a strongly decentralized system that includes participatory politics from the village level to that of the national Parliament. Its long tradition of decentralized governance also extends to mainly alpine commons (i.e. pastures, forests, wildlife, lakes, and rivers) and other common-pool resources (CPRs). Switzerland’s importance for the debate on the commons is illustrated by Elinor Ostrom’s reference to Robert Netting’s work on the pasture, water, and forestry commons in Törbel in the Swiss Alps. In addition, Switzerland is one of the world’s leading financial marketplaces, and hosts the headquarters of large multinational companies in mining and agro-business that represent global players at critical glocal interfaces concerning e.g. the global land rush, mining, oil and gas commodity extraction, and commodity trading. Switzerland is also home to the United Nations and many international conservation organizations (e.g. IUCN and WWF), and a hub for international treaties and legal affairs. Switzerland is therefore one of the prime examples of local participation in resource management while at the same time being a centre for globalized capitalism and its norms and values. This is an interesting paradox that relates to the conference theme of Commons in the “Glocal” World: Global Connections and local responses.